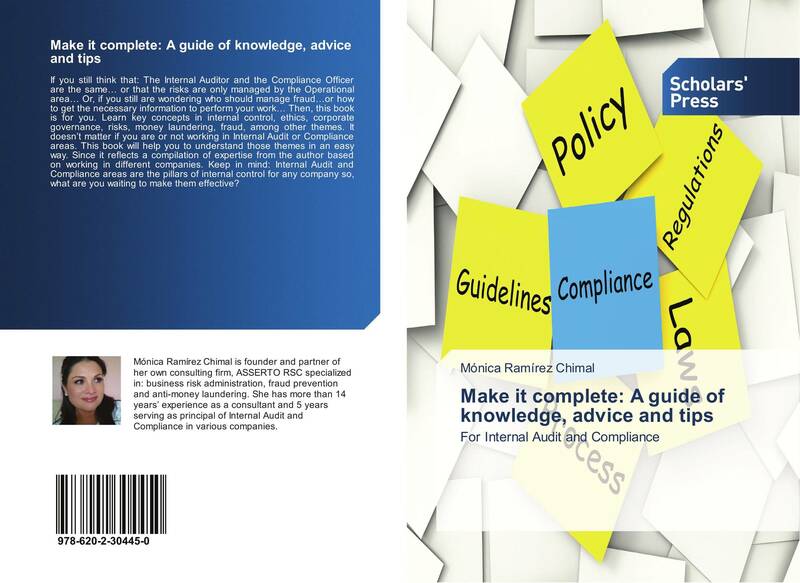 If you still think that: The Internal Auditor and the Compliance Officer are the same… or that the risks are only managed by the Operational area… Or, if you still are wondering who should manage fraud…or how to get the necessary information to perform your work… Then, this book is for you. 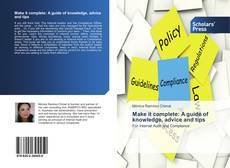 Learn key concepts in internal control, ethics, corporate governance, risks, money laundering, fraud, among other themes. It doesn’t matter if you are or not working in Internal Audit or Compliance areas. This book will help you to understand those themes in an easy way. Since it reflects a compilation of expertise from the author based on working in different companies. Keep in mind: Internal Audit and Compliance areas are the pillars of internal control for any company so, what are you waiting to make them effective?